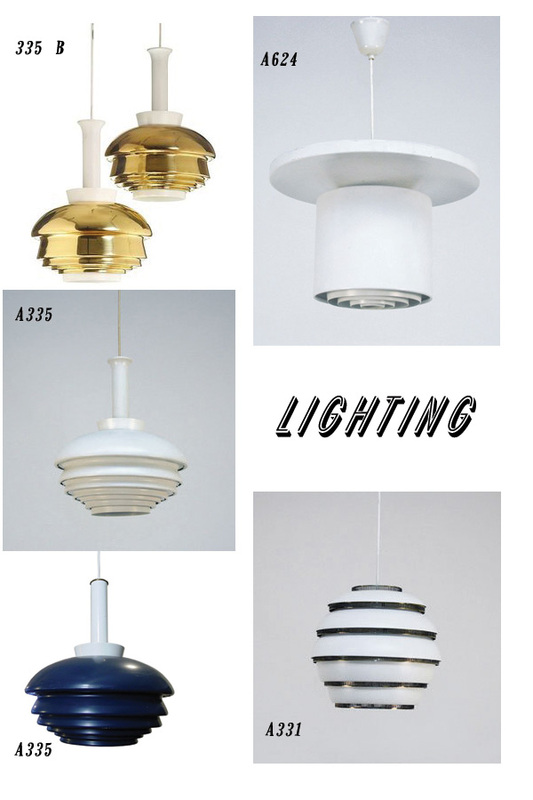 In the 1950s, Aalto designed many ceiling light fixtures manufactured by Valaistustyo. 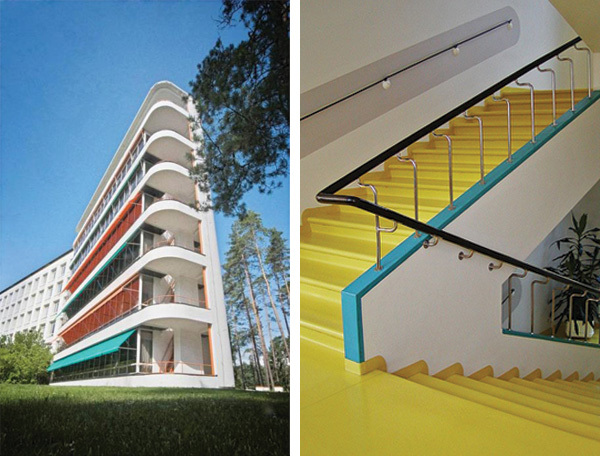 The Aalto Vase was unveiled in 1937 at the World's Fair, it became an instant success and is still manufactured today. 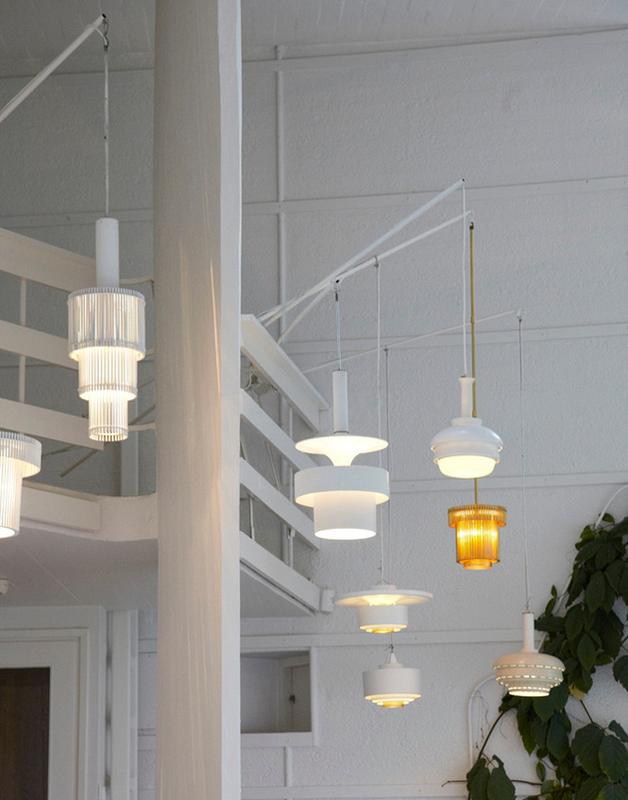 Here is a video of how it is made. 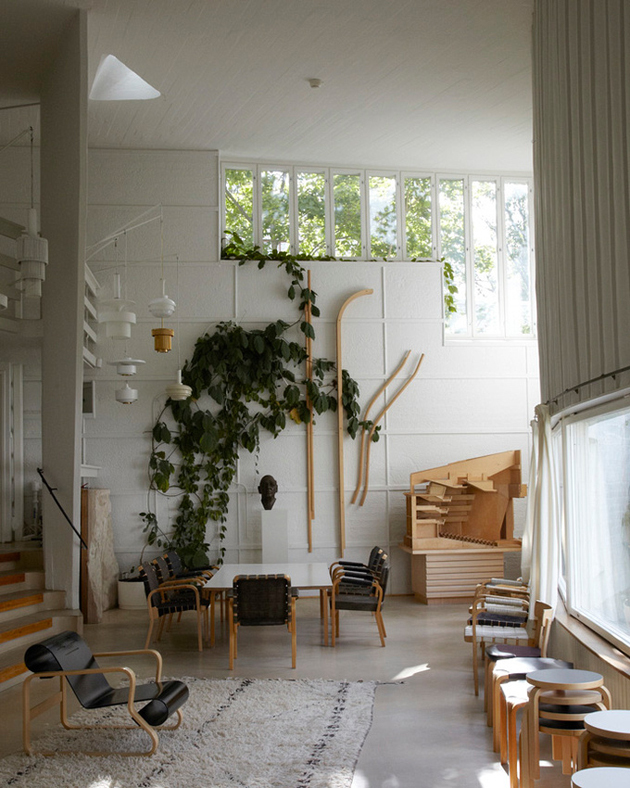 Aalto's Studio in Helsinki (photographs taken by Leslie Williamson). 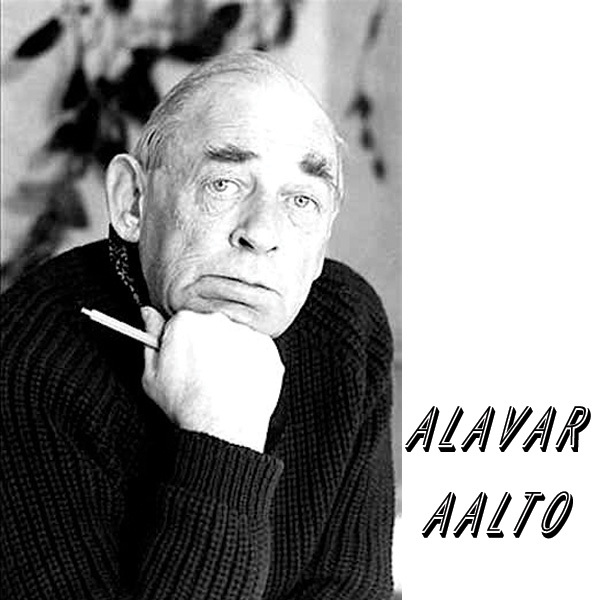 Aalto's studio now functions as the Alvar Aalto Academy, giving advice on the restoration of Aalto buildings and organizing the vast archive material. 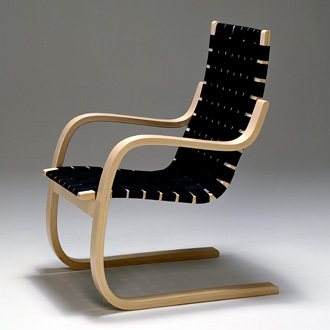 If we could choose our favorite piece of Aalto's collection of work is his Armchair 406 manufactured by Artek. 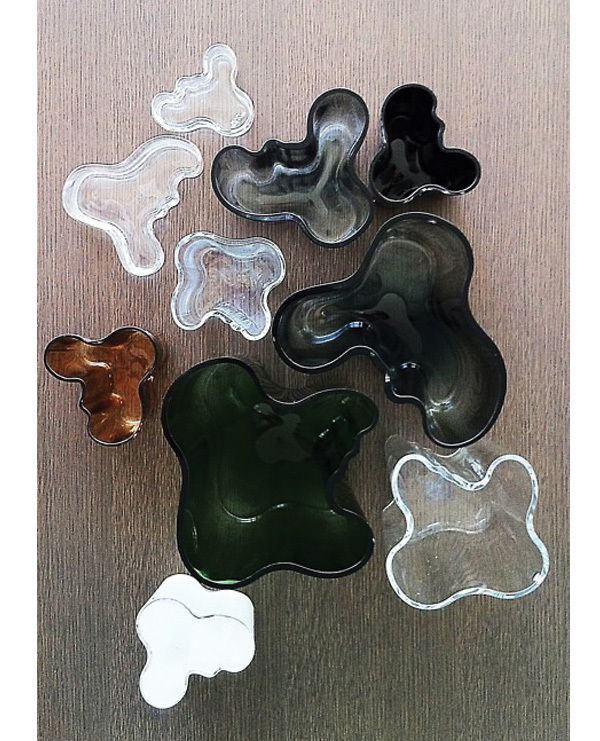 Beautiful pieces. IKEA knocked off the 3-legged stool a few years back (no longer available) and I promptly bought 6 to use to display Christmas trees. 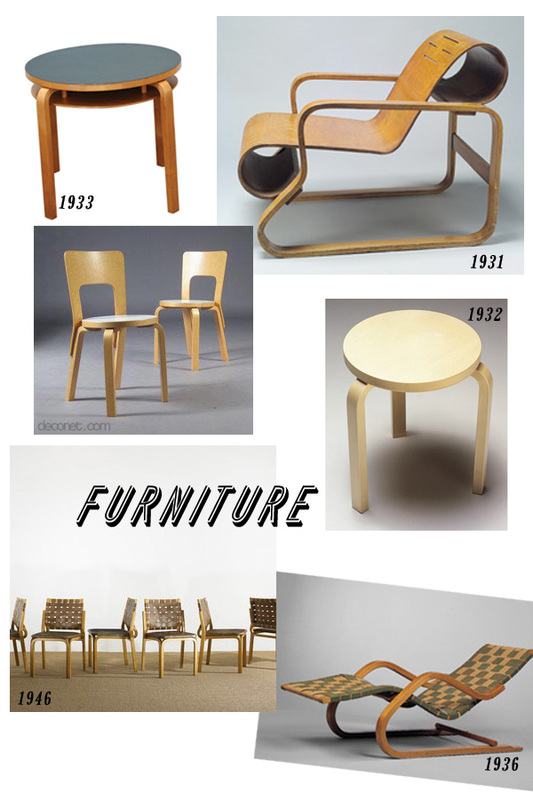 All the pieces are timeless.